Your heart has been like a swimming fish who thought he was in a tiny bowl of water where the circumference was small and hardly anywhere to swim. Since the launch of the new website on March 19, 2007, we have served close to 600 000 pages. Close to 100 000 people have stopped by and had a peek. Here are the top 10 countries by visitors..
56% of all these visitors returned after their first visit (This is very very high in Internet terms). The 100, 000 or so visitors spent an average of 7 min on the site and viewed about 6 pages per visitor. 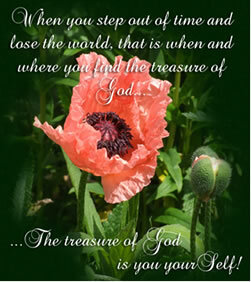 Via the Daily Heavenletter by email, 3081 Heavenletters were sent using the present system. These Heavenletters were read by approximately 3 150 332 people. It takes 15 min every morning to send out about 4000 Heavenletters to readers from all points on this globe. Approximately 9 000 000 Heavenletters have been delivered. Around 35% of these Heavenletters were actually read. According to Internet standards, anything above 5% is great! Above 10% is a almost unheard of. Above 20% is a miracle! The thing about Heavenletter subscribers is that they really want to read their Heavenletters! Of course none of these statistics can show the rise in consciousness each Heavenletter reader creates. Paula Launonen was the very first translator to offer to translate. That was over four years ago. Two remarkable subscribers to her translations are doing great things for Heavenletters. Without Paula’s translations, these two gentlemen from Italy wouldn’t know Heavenletters. One simple translator, Paula, day after day for years translates Heavenletters, and then her dedication blossoms. Here’s what I mean. I would like to read some or even all Heavenletters aloud for the blind. Of course, Flavio’s desire to read to the blind makes us very very glad. We’re hoping that Flavio can record as he reads out loud and make his readings available to those that he may not be able to reach in person. Flavio, we’re excited and are waiting for your photo! My name is Guido. I am a spiritual being and a musician. I play five instruments (organ, piano, cembalo, baroque trumpet and classic or celtic harp) and particularly I play the classic organ. in my church: the Church of Jesus Christ of Latter day Saints. I'm Improviser. 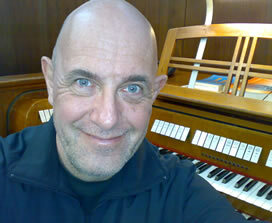 I teach the technique of improvisation at the organ on international level. Through this talent donated from God, I practice the musicotherapy in high spiritual level. I would like to institute in your site a section dedicated to music in skies. It is not everyone who has instituted a beautiful program like Heavenletters. At the end of the month I will have the recorder that will allow me to be able to record live improvisations the organ and create MP3 automatically. I will be operational by the end of this month. Sorry for my English… I have fear to make errors….For this message in English I use "Google translator.” Thanks Gloria. I will pray that the peace, the joy and the serenity always reign in your heart. A sweet embrace of Light. Awesome! There's an Angelic musician who's joined Heaven :) I wonder when we can hear some of Guido's mp3's? His music may be something that will work with new Heaven CD's and Youtube presentations. Thanks, Daniela, for translating in Croatian for us. Thanks to all the translators! Thanks, Marlene, for the idea and for making it happen. And thanks to Dr. Laura DeGiorgio who was the first to give us Youtube presentations from the goodness of her heart. You are all gifted and generous. Recent blog entry with most amazing comments! In error, Russ Michael’s banner was left out in the last issue of Heaven News. In every one of Michael’s newsletters, he names the day as God suggested in a Heavenletter. On the day I am writing this, Michael called the day Open Your Heart Day. We are so glad and grateful that you are here. We thank you for reading Heavenletters. By the simple act of reading Heavenletters, we uplift everyone else. As we grow in consciousness, so does everyone. I read with joy this entire piece. What a job!, what a mission, what LOVE! You overwhelm me.